Below the message there will be an indication of the error(s). Click on the small triangle to the left of that message to see more details about the error. If there’s a specific item that is causing problems, look for that note and delete it. It’s possible that you’ll search for the offending file and not find it. 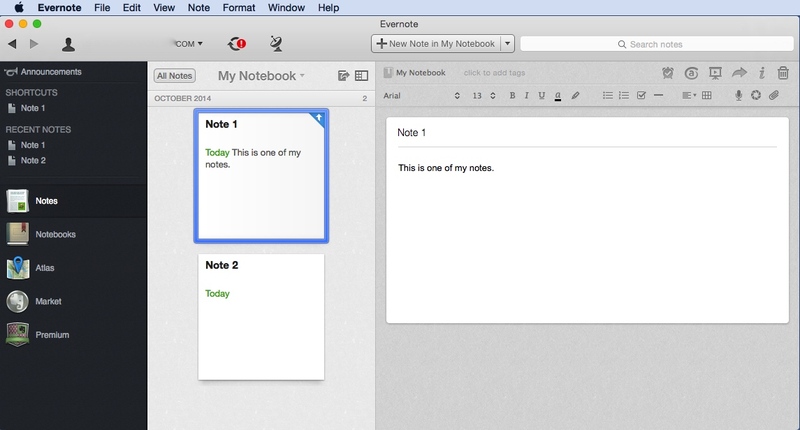 It may be impossible to find the file using the Evernote search feature, or by manually browsing all your notes. If the file had previously been deleted, and put in the trash, it will be in the Evernote trash can, so it’s ignored by search requests, yet still exists and still causes problems during the synchronization. Below are screen shots showing this process. When synchronizing, the sync indicator should be blue and spinning. 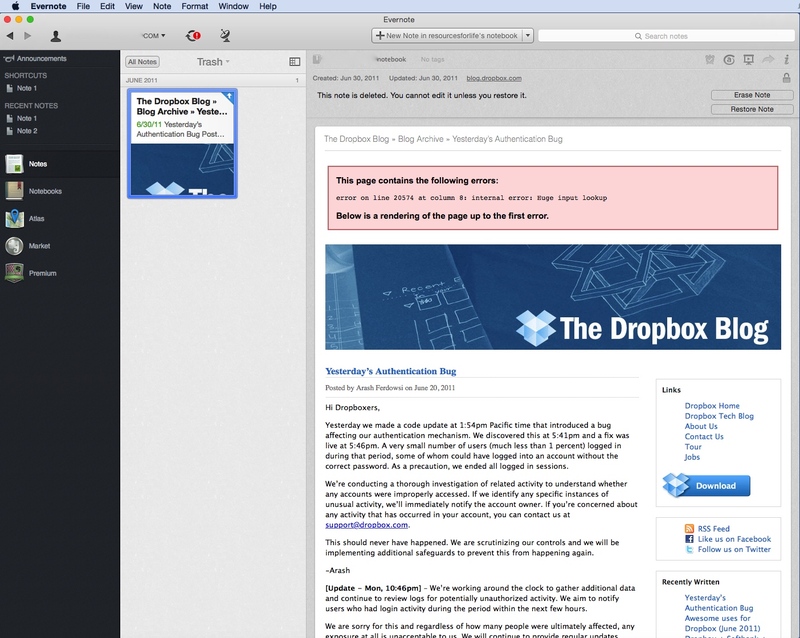 It is to the right of your username/email (the example here is blurred out). Click the image for a larger view. If the synchronization fails, there will be a red icon with an exclamation point on top of the sync icon. Click the image for a larger view. Click the error indicator to view the error details as shown in the example below. Click the image for a larger view. In this example, performing a search on the word “Dropbox” yielded nothing. This is because Evernote doesn’t search the trash. Unfortunately, the error message doesn’t indicate the folder location for the offending note. 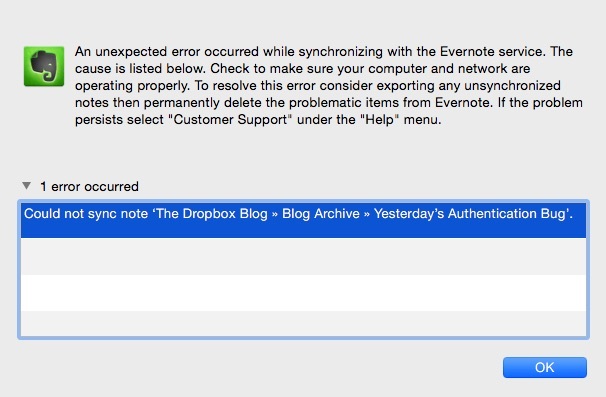 So, unless you think to check the Evernote trash, you’ll be mystified by this error. Once you delete this problematic note from the trash (by pressing the delete key), the synchronization process should work just fine.